SECOORA’s Annual meeting brought together coastal ocean scientists from around the Southeast to Charleston, South Carolina on May 22-24. The theme of SECOORA’s meeting was the Blue Economy. The Blue Economy encompasses ocean and coastal dependent activities such as maritime transportation, tourism, fisheries, energy development, and more. Opportunities exist for collaborative science both with Bureau of Ocean Energy Management and the private sector to research offshore resources in the Southeast. A strong dialogue needs to be established to define what research is needed to improve our understanding of the marine environment. Data must be transitioned into tools that community leaders can use for decision making. They should be easy and simple to use and understand. Private industries need longer-range weather forecasts than are currently available from NOAA’s National Weather Service. Dynamic oceanography was a term used by a fisheries panelist to highlight the need for both forecasts and hindcasts to inform stock assessments. However, consistent access to these modeling tools would need to be provided. Additionally, ecosystem assessments that provide climatologies of the Gulf Stream and associated eddies would be informative for stock assessments. Active and passive acoustic technology is an area for growth in terms of monitoring fisheries and other marine life. Currently SECOORA members are assisting the FACT network with fish tracking efforts in the South Atlantic; however, a regional plan is needed. In the Southeast, there are gaps in wave and current data. Investments in wave moorings and High Frequency radar are needed, as well as more monitoring of salinity, water column currents, and suspended solids. The local perspectives panel highlighted the very nearshore data needs of many stakeholders. SECOORA is currently making a limited investment in coastal stations on the West Coast of Florida and one station in Charleston Harbor, SC. Given the interests discussed, more coastal stations should be added in the Southeast, especially to help with alternative energy and Port operations. The very large economic impacts of ports, extreme weather, and wind development were noted. However, to get ports or other interests to invest in observing, a cost benefit analysis needs to demonstrate the value of any new observing infrastructure. Click here to access meeting presentations and materials. Photo 1: SECOORA Board Members, left to right: Debra Hernandez (SECOORA), Bob Weisberg (USF CMS), Rick DeVoe (SC Sea Grant), Lisa Adams (Kennesaw State University), Nick Shay (UM RSMAS), Mitchell Roffer (ROFFS™), George Maul (FIT), Marcel Reichert (SCDNR), Michael Crosby (Mote Marine Laboratory), Quinton White (JU MSRI), Jim Murley (Miami Dade County), Mark Willis (Surfline), Conrad Lautenbacher (GeoOptics), Ruoying He (NCSU), Roger Pugliese (SAFMC). Board Members not pictured: Jeff Copeland (WeatherFlow), Jim Nelson (UGA SkIO), and Pat Halpin (Duke University). The first day kicked off with the SECOORA Board meeting. Discussion focused on membership, the Vembu Subramanian Ocean Scholars award, and coastal ocean observing plans. SECOORA is only successful because our board members dedicate their time to elevate the organization. Photo 2: Nick Shay (UM RSMA) providing an update on High Frequency Radars in Miami, Florida. This year SECOORA implemented a new element to the meeting – SECOORA PI lightening talks. Principal Investigators provided short, 5minute updates on their project status, accomplishments and impacts. Due to positive feedback, this will become a core component of future SECOORA Annual Meetings. Click here to read all the PI abstracts for their projects. Photo 3: Pictured is Josie Quintrell, IOOS Association, giving an update to SECOORA members on congressional outreach. 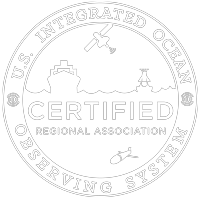 The second day started with an update from IOOS Association – a non-profit organization working with all Integrated Ocean Observing System (IOOS) Regional Associations (RAs). The IOOS Association is in the middle of the Closing the Gaps campaign aimed increasing the number of gliders and High Frequency radars across RAs. In FY17 IOOS saw an increase of $1.2 million in the federal budget. SECOORA is expanding it’s High Frequency radars footprint to fill a major gap in radar coverage along the East Coast of Florida. Photo 4: Blue Economy Panel 1, pictured left to right: Doug Piatkowski (Bureau of Ocean Energy Management), Scott Harris (College of Charleston), Rick DeVoe (SC Sea Grant), Nicole Elko (South Carolina Beach Advocates), and Ruth Perry (Shell). The Blue Economy I Panel discussed offshore resources in the Southeast – from sand to offshore energy, both alternative and traditional energy. There are opportunities for collaborative science both with BOEM and the private sector to research offshore resources in the Southeast. Overall, panelists agreed there needs to be an increase in research to better understand the southeastern coastal and marine environments. Public and private collaborations are necessary for filling research gaps and accelerating the blue economy. It is also noted data should be transitioned into simple tools that community leaders can use for decision making. Photo 5: Blue Economy Panel 2, pictured left to right: Ben Hartig (Commercial Fisherman), John Quinlan (NOAA National Marine Fisheries Service), Lad Akins (REEF Environmental Education Foundation), and Marcel Reichert (South Carolina Department of Natural Resources). One goal of SECOORA is to further advance coordination between the fisheries managers and ocean observing communities, thus integrating physical oceanographic data and biological research. The second Blue Economy Panel highlighted needs for integrating the data to support fisheries research and management. Panelists discussed climatological related shifts in fisheries distribution, the need for models to help forecast or hindcast weather events that impact fish presence/absence, and the need for a better understanding of the physical environments which allow invasive species to flourish. Additionally, continued investment in passive acoustic technology to monitor fisheries and other marine life is another gap SECOORA can help fill. Photo 6: Blue Economy Panel 3, pictured left to right: Brian McNease (Surfline/Wavetrak, Inc.), Paul Gayes (Coastal Carolina University), Mark Messersmith (South Carolina Ports Authority), and Dwayne Porter (University of South Carolina). According to the Ocean Enterprise Study, over $7 billion in revenue is generated annually by ocean enterprises (for profit and not for profit businesses which support ocean measurement, observation and forecasting). The last Blue Economy panel discussed private sector marine-related economic activities and identified priority gaps in data and research that are needed for business management and decision support. Private businesses in the Southeast use publicly available data to assist in their business. For example, the SECOORA funded CAP2 buoy is one of the closest offshore buoys to the South Carolina Ports Authority. The Port and the Charleston Harbor Pilots need more real-time offshore buoy data – closer to the harbor entrance – for storm preparation. At the meeting two of the three SECOORA Data Challenge winners made presentations on their projects. John Mwaniki, an undergraduate Computer Science student at Kennesaw State University, made a video presentation on his project “SPLASSH into OA (Ocean Acidification) with SECOORA’s pH Data”. This new tool provides easy access to pH data in the Southeast US. Watch the video here. Photo 7: Debra Hernandez (SECOORA) presenting Joseph Zambon (NCSU) with his $2,500 Data Challenge prize. Joseph B. Zambon made a presentation on his data challenge project “Development of a 5-Year Daily, Cloud-Free Sea Surface Temperature (SST) and Chlorophyll-a Reconstruction Dataset Using the Data Interpolating Empirical Orthogonal Functions (DINEOF) Method”. His work is providing a cloud-free satellite imagery dataset for sea surface temperature and chlorophyll for 2012- 2017. The dataset will soon be available on the SECOORA data portal. Photo 8: Charleston Mayor Tucklenburg pictured with Debra Hernandez (SECOORA). A new component our of Annual Meetings is a public forum. Our first public forum focused on how extreme events impact the blue economy – including businesses, communities and marine life. Charleston Mayor Tucklenburg provided the opening remarks. He discussed hurricanes, resiliency, and the blue economy in Charleston. Photo 9: Public Forum Panel, pictured left to right: Debra Hernandez (SECOORA), Sarah Pickhardt (South Carolina Emergency Management Division), Kelly Thorvalson (South Carolina Aquarium), and Omar Muhammad, (Lowcountry Alliance for Model Communities). The three public forum panelists covered a variety of topics. Overall, resiliency and proper planning is key to keeping people, marine life and businesses prepared and safe when facing an extreme weather event. Thank you to our amazing meeting sponsors for supporting the Annual Meeting. Being a sponsor showcases organization’s services and products and strengthens ties with existing clients. We could not have done this without you! Photo 10: Pictured above Gold Sponsor, Chad Whelan from CODAR. Photo 11: Pictured is Gold Sponsor, Brad Kingsmore from YSI/Xylem, interacting with a meeting participant. Photo 12: Pictured is Bronze Sponsor Clara Hulbert and Paul Devine from Teledyne Marine. Photo 13: Pictured is Bronze Sponsor Scott Kindelberger from OTT Hydromet at his booth.